Charter, lease, or purchase the Learjet 60, the successor to the Learjet 55 from Bombardier Aerospace, or the LearJet 60XR, an upgraded version of the Learjet 60, featuring a larger cabin, upgraded high-performance engines, improved efficiency, and longer range. Able to comfortably seat 7 passengers within a spacious cabin that features a fully enclosed lav, the Lear 60’s cabin was the largest in the Lear family when it debuted; the Bombardier Learjet 60XR adds a variety of performance upgrades including state-of-the-art avionics, improved aerodynamics, and increased range and speed to compete with other midsize jets in the sky. 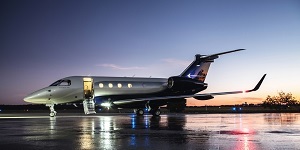 Air Charter Advisors offers executive and luxury jet travelers access to Lear 60 and Lear 60XR based in your area, with a complete list of aviation services from bespoke charters to aircraft ownership. 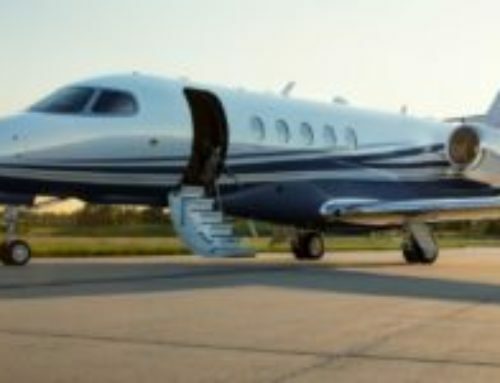 Call us at 888-987-JETS for more information on jet charter, jet cards, fractional programs, and ownership. 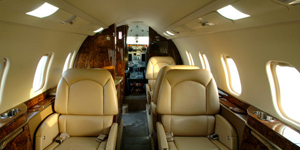 The hourly rate to charter the Lear 60 midsize business jet start between $3,500 and $5,000* per hour. Rates will vary based on aircraft year, model, routing, scheduling, and passenger/luggage amounts. 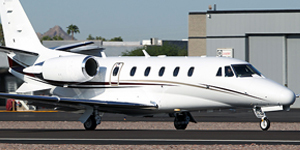 Call one of our Lear 60 charter brokers for instant pricing and availability in your area. Originally certified in 1993, the Bombardier LearJet 60 ended production in 2007 after more than 300 aircraft were delivered, and it was one of the most popular midsize jets of it’s era. The Lear 60 is the successor to the Lear 55, featuring a longer fuselage with room for 6 or 7 passengers, and upgraded Pratt & Whitney engines. Built for speed, this jet quickly climbs to high altitudes where it cruises at speeds of up to 0.81 Mach, maximizing it’s fuel efficiency. 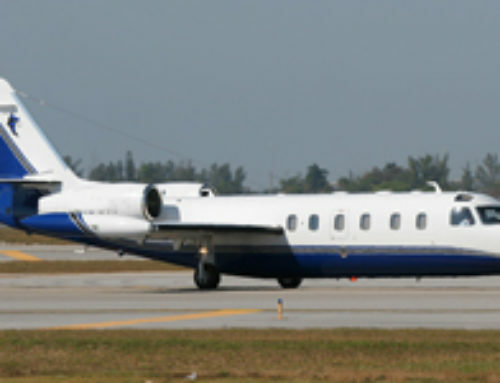 Many of the aircraft are still in service today, utilized by operators and fractional jet companies around the world, as well as government and military missions; the FAA operates six Lear 60’s to perform airborne inspections of navigational facilities. 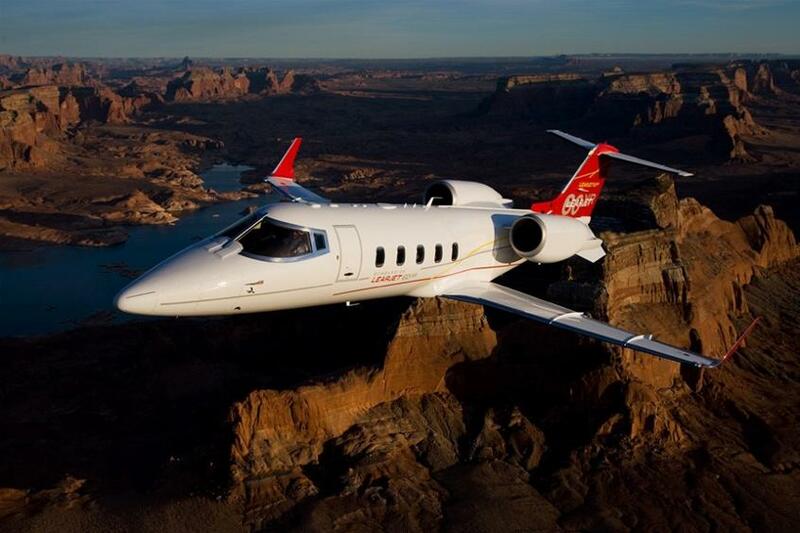 Bombardier launched the new LearJet 60XR in 2005, and deliveries began in 2007 after it was certified. 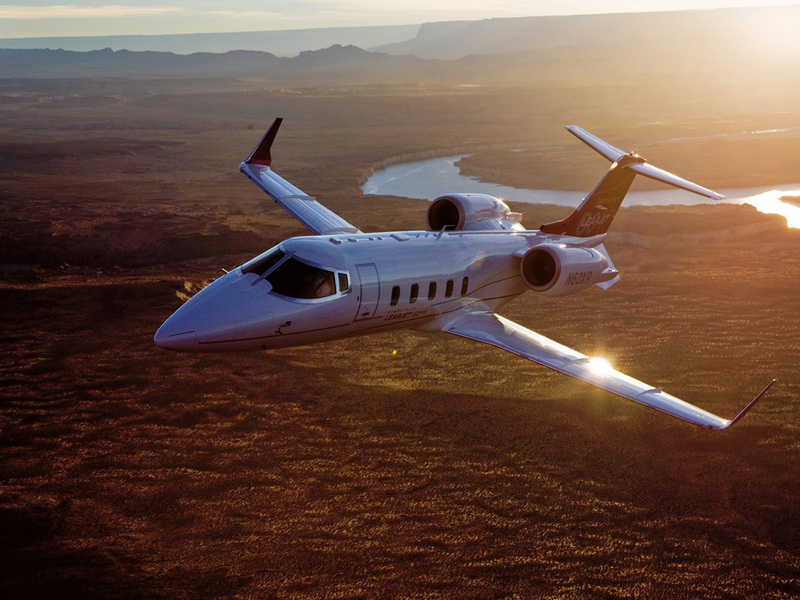 The 60 XR is Bombardier’s final version of its legacy aircraft featuring Bill Lear’s famous adaption of the FFA P-16 Swiss military aircraft; Bombardier Aerospace chose an all-new design for the newer Learjet 85. 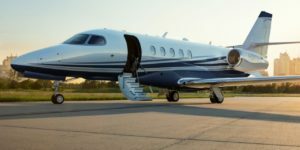 Overall, the Model 60 maintains Learjet’s reputation as a proven platform for comfort, versatility, reliability, and high-speed performance in the midsize jet market, however, it’s not as competitive in cabin size and range as the original. Although the improved design of the Lear 60 allows a maximum capacity of 8 passengers, it’s optimized for maximum comfort with 6 or 7 passengers on-board. Comfortable first-class club seating, an enclosed lavatory, hideaway worktables, and plenty of legroom ensure a comfortable flight. The interior of the 60XR is available in Signature Series Red and Black designs, both offering increased functionality, soft color schemes, dark wood veneers, and a larger galley. Cabin dimensions measure 17′ 8″ long, 5′ 11″ wide, and 5′ 9″ high, and while that’s not the largest in it’s class, it’s a significant improvement over the 55 model, providing an addition 43 inches in length and 3 inches in width. Additional improvements to the interior include increased luggage capacity to 59 cubic feet, flexible 5 floorplans (5 in total), and a cabin management system featuring control modules and ports for all your entertainment and productivity devices. 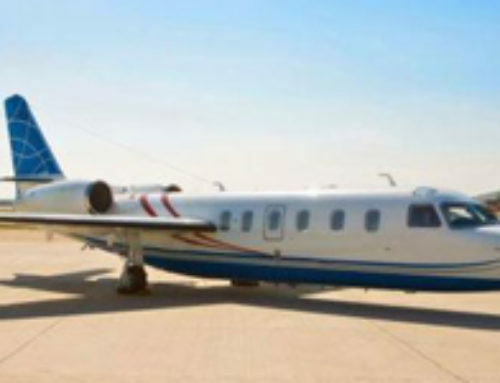 Powered by twin Pratt & Whitney Canada PW305A turbofans, the LearJet 60 delivers a range of 2,405 nautical miles (4,454 km) with 4 passengers and 2 crew, NBAA 100 nmi (190 km) reserves, and ISA. Despite its impressive comfort and versatility, the Learjet 60XR is best known for its impressive climb and runway performance. Taking off only requires a 5,450 foot runway, and it can land using just 3,420 feet of runway, even at maximum takeoff weight, full fuel, and full passenger load. The XR variant has an impressive amount of thrust compared to the earlier models, climbing faster than most midsize jets at a rate of 4,500 feet per minute, reaching 41,000 feet in just under 20 minutes at max take-off weight. 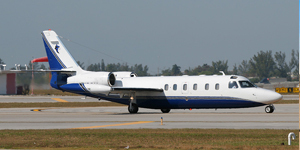 In 2005, Bombardier launched a new variant of the Lear 60 designated as the LearJet 60XR, with deliveries starting in 2007 carrying serial number 319 and up. The 60XR offers the largest Learjet cabin, and make better use of the space with 5 floor plans, LED lighting, better insulation, and improved cabin management system. 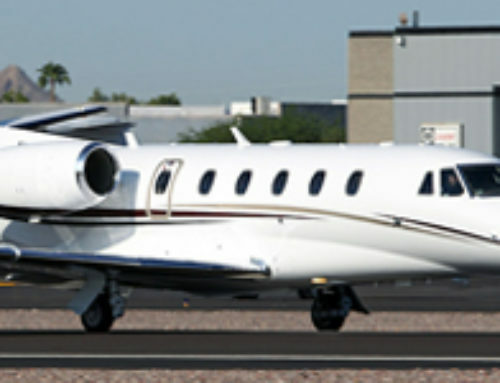 Although it provides ample width and height, it’s slightly shorter in length than competing midsize jets such as the Hawker 800XP. Additional upgrades for the Lear 60XR include Rockwell Collins Pro Line 21 avionics, upgraded AHRS and FMS, electronic charts, enhanced MFD, optional XM radio weather, and three-rotor disc brakes rated up to 600 landings. Aerodynamic improvements include its distinct “ogive” winglet. The smoothing of pressure spikes between the wing and winglet result in significantly lower drag and improved efficiency. As of late 2018, 112 Model 60XRs were in service, with pre-owned price tags ranging between $2.5 million (2007) to $4.0 million (2013) based on model year. 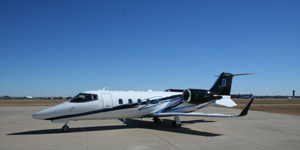 Both models are available for private charter, however, most of the planes available are the original Learjet 60, as the XR’s continue to enter the charter market. Ideal for both executive and luxury travel, it makes for an ideal choice for high-speed flights across the country. Here are some of the most popular routes based on flight requests and aircraft positioning. 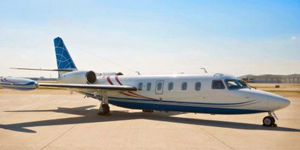 Air Charter Advisors offers on-demand private jet charter services on the Learjet 60, a medium-range midsize business jet manufactured by Bombardier Aerospace. 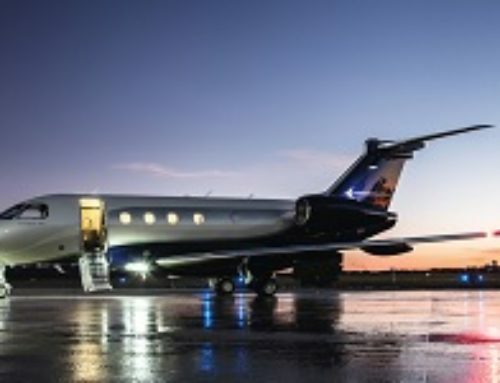 For hourly charter rates and availability, submit your request or speak with one of our brokers directly about charter and jet card options by calling us 24/7 at 1-888-987-5387.